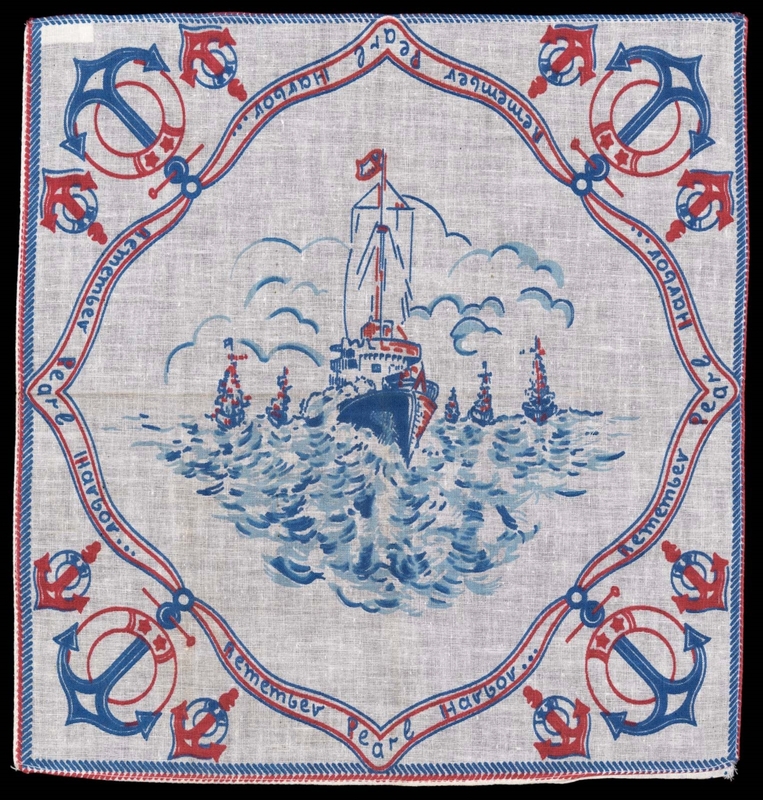 White hankerchief with blue/red border. White ribbon makes a diamond inside the border and repeats the slogan: “REMEMBER PEARL HARBOR.” There are three anchors in each corner. One large ship and several small ships in sea and clouds above painted in the center of the ribbon-diamond shape.